There are so many superb places to visit near to Mayfield. Of course what is better than going for a walk around the village and finnishing up with some shopping in the village and tea at the 'Pink Cabbage' restaurant. Take some sea air and drive to Cooden near Bexhill. Eastbourne and Hastings are only thirty minutes away, with the lovely bric a brac shops. Best of all go to Brighton and shop in the lanes and have lunch or tea at my children's cafe!! Artisan is the best coffee shop in Kemp town and definately worth a special visit. Some would say the best coffee in Brighton! I would say the best cakes..including gluten free. 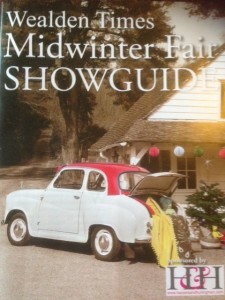 On December 9th the Convent hosts the ‘Live Crib’ as featured on BBC and in Country Living magazine. This re-enactment of the Nativity culminates with a stunning carol service in the old chapel of the school. What better way to get into the Christmas spirit. 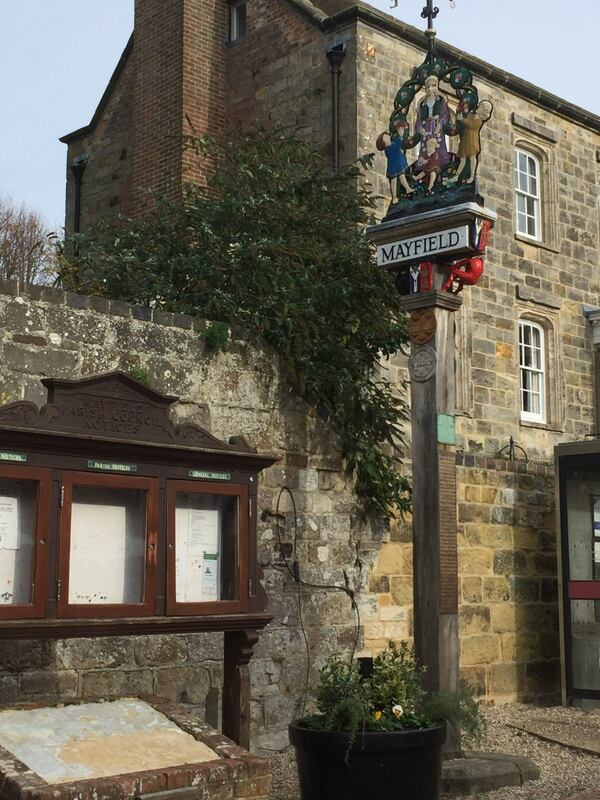 The historic village of Mayfield is a lovely place to visit with it;s beautiful church and enticing old high street full of tempting shops. There are several good local pubs too. Lower Crabb is just half a mile south of the village. Easily located on the 267 between Mayfield and Five Ashes village. Also conveniant for coastal visits to Brighton(35minutes by car), Eastbourne and Hastings. Lewes with its fabulous antique shops is only 11 miles away. Rudhyard Kipling’s house Batemans is near and a must to visit. Also, Sarah Raven’s Perch Hill Farm garden is close by. Hever castle and Sissinghurst and Charleston farmhouse are not far. There are many National Trust properties to see.